It is hard to define the photographer’s talent, especially if you are a humble human being. However, there is a core indicator of the talent which is an all-around recognition. If you have already passed the stage when raving reviews and praise of your friends and relatives been enough for your professional satisfaction and you feel like it is time to gain the auditory of your fans – go for the online portfolio. To make sure your portfolio website will be efficient and regularly updates – choose a handy and reputable Content Management System. We believe, WordPress it the best CMS to build an online portfolio with. First of all, it is the most popular one, which means, there are lots of tutorials out there, that will show you how to build a preeminent WordPress website step-by-step. And the second reason to give preference to WordPress is that the market is full of ready-made products for this particular CMS. 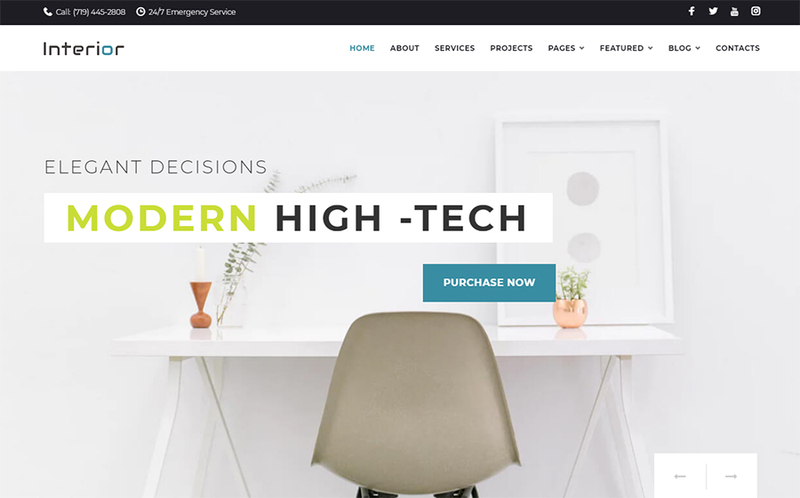 It won’t be a problem for you to find the best WordPress themes for business in a few clicks. This part of the portfolio creation is the essential one since the photographers’ market is full of competitors and it is getting harder to define your portfolio as an exclusive one that really worth the audience attention. Do not be lazy and redesign your social media. Create the custom logo and use it for all platforms where you up to promote your business. Also, upload your logo to the website so visitors could identify your brand with ease. Some portfolio websites look like a complete mess, which is quite disappointing and won’t help the business development for sure. Of course, you should do your best to stun all random visitors with your photographer’s skills from the first look at your website. However, the functional component of the website also matters. Take care of the website navigation, set up contact forms, and organize all the information in a neat and elegant way. Need a modern theme with awesome functionality? 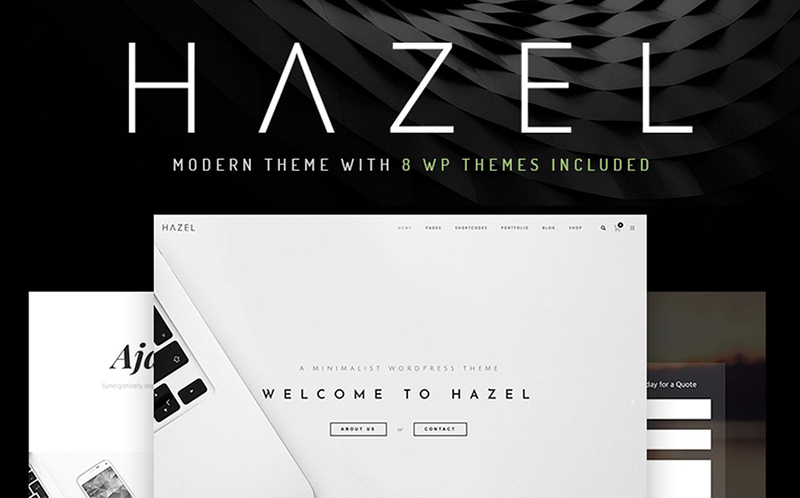 Take a look at the Hazel theme, as you get not one but 9 demos that you can use for a variety of purposes. You get it with adjustable header and footer, equipped with sliders, Instagram widget, and other entertaining elements. Using its robust admin panel you can change theme options with ease. 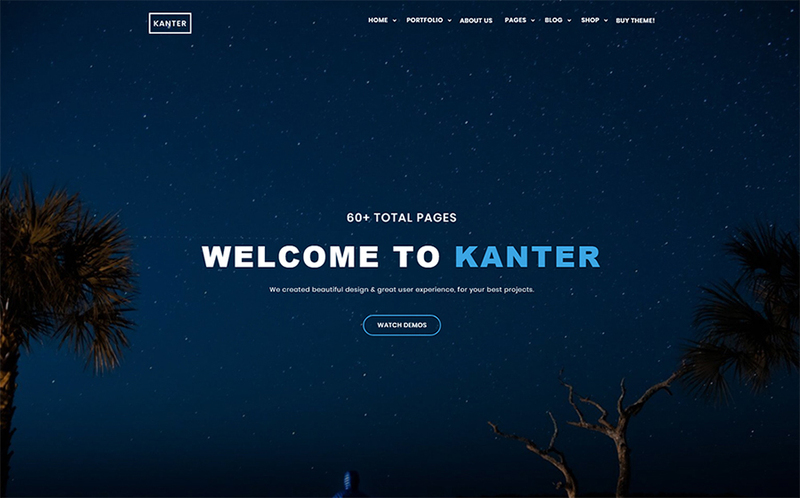 Build a gorgeous design with a huge collection of content modules. 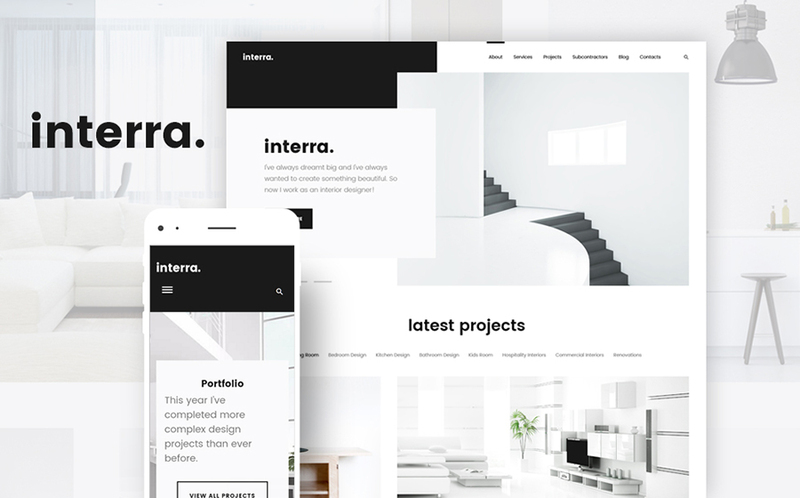 Demonstrate your projects and services in a fresh and stylish manner with Interra theme. This theme will surprise you with the range of functions, as it comes stuffed with a huge number of widgets and add-ons. Hence, you can use a simple slider, post carousel, and social media widgets so your content will look appealing and variedly. Its code structure fits Google requirements and helps to boost ranking quickly. 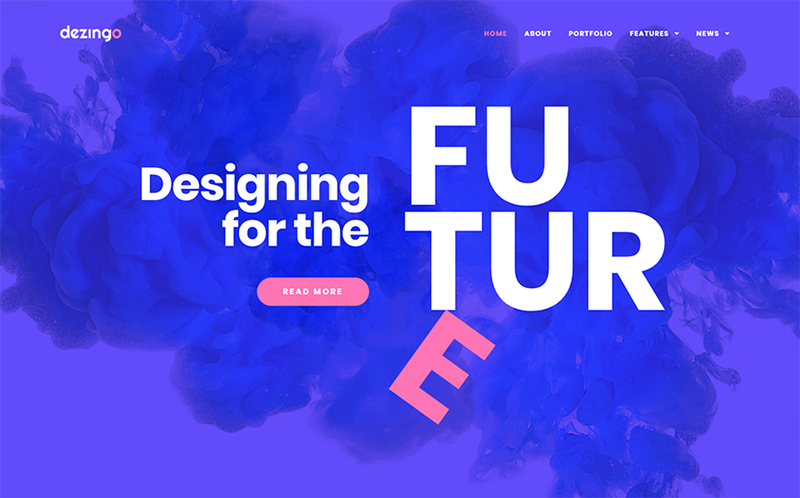 Sharp design and cutting-edge responsiveness are all about the Grafique theme. Its list of eye-catching skins includes such pages as About, Gallery, Home, Blog, and other pages. Its lovely appearance spruced up with beautiful images, that you get as a nice bonus. The list of customization parameters in massive. You can really deep into the web design construction, as this process is cordless and painless. 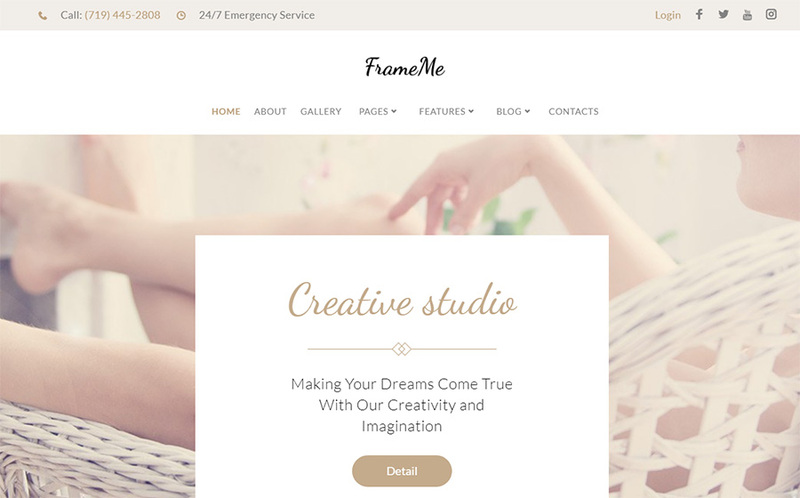 FrameMe theme surrounds visitors with vibes of tenderness and tightness from the first look at it. Its nice and creamy ready-made skin will fit amazingly well feminine blog, wedding agency, or a portfolio website. There is a beautiful gallery where you can demonstrate your works. And the fact that lots of theme elements come animated with Parallax effect makes it even more interesting to explore. Launch an online advertising agency with Adverting. 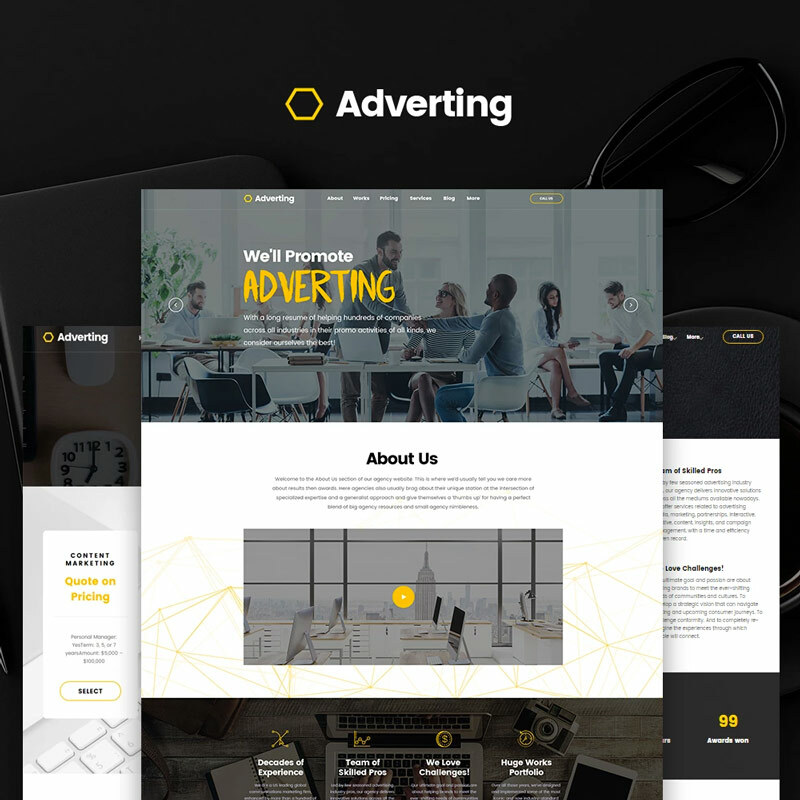 This theme has a fully responsive design, so your clients will enjoy a state-of-the-art performance on any modern device. Use pre-made pages to represent your skins and share customers testimonials. Moreover, you can use additional pages and a pack of content modules, so that your content will look fascinating and engaging. 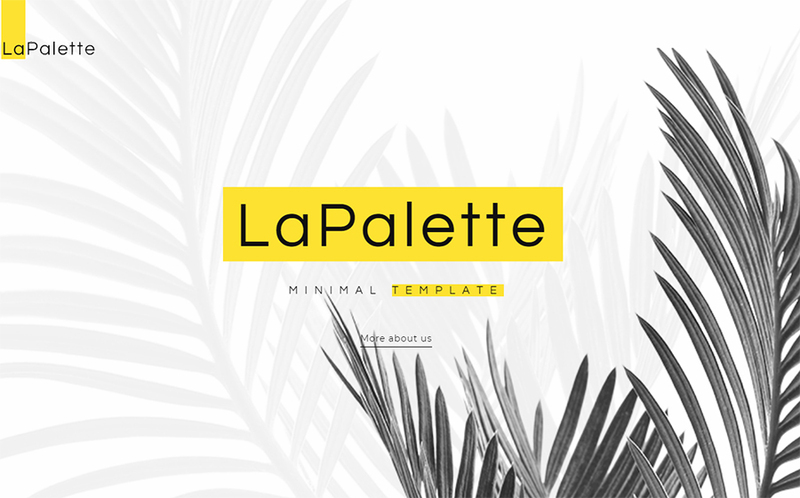 Being modish and minimal La Palette theme is perfect for creative business. Its layout won’t distract your potential clients from the services and content that you want to share. Moreover, there are lots of plugins that will help you to highlight your strengths. Add different tabs and accordions, change the layout vector, and play with your content using plugins and advanced functionality of a drag and drop page builder. It doesn’t matter if you are a businessman or a designer as this theme was made to help all the creative human beings. It has lots of different theme elements and a neat admin interface that makes it simple to run a WordPress website. You can use it as a tool to spread your authority abroad since the theme is WPML-ready. To boot, you can choose your favorite type of portfolio and promote your services skillfully. Before supplying decorating services, make sure your website looks alluring enough to catch visitors attention. This theme comes with a responsive and Retina ready design, so you will be impressed with a high level of mobile performance. Besides, this theme provides you with a power of Elementor and enriches the web design capacity with dozens of modules. Use it as a portfolio, blog, gallery, theme for the corporate website, or as a tool to build an e-store. The renovation is no joking thing. It requires a significant monetary investment and major efforts. And neither website launching does. However, you can simplify this process with the Interior theme. This one comes with Elementor and Jet Elements addon. Moreover, you get some bonuses, namely a collection of beautifully-taken images and a Booked Appointment plugin, so you can always stay organized. The designers market is full of competitors. That is why you need a premium theme to enhance your website potential with. 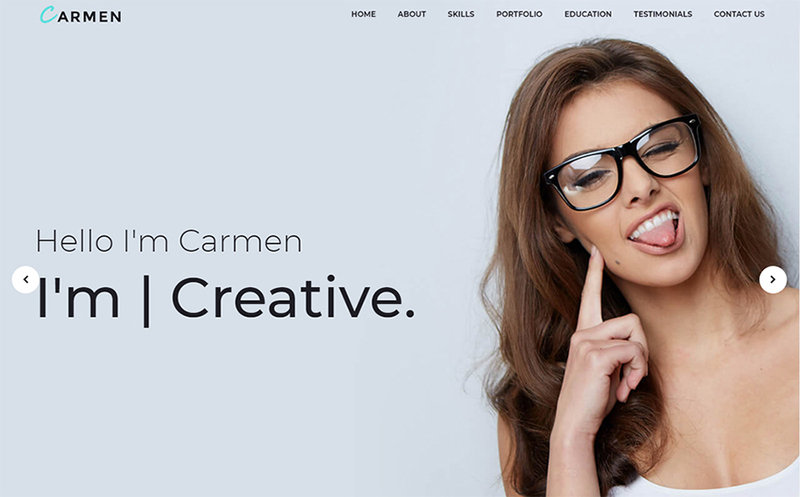 Carmen Design theme has a totally Adjustable layout that features a pack of Cherry plugins. It is not a problem to reach the top of the search engine and increase the volume of followers, as its valid and clean HTML5 and CSS3 code meets Google requirements and come very simple to index. The classic combination of a black and white charm all lovers of a traditional style. It is dedicated to photographers, art dealer, and other individuals and companies that are dealing with art and photography. It includes stylish buttons which will simplify a search process for you. 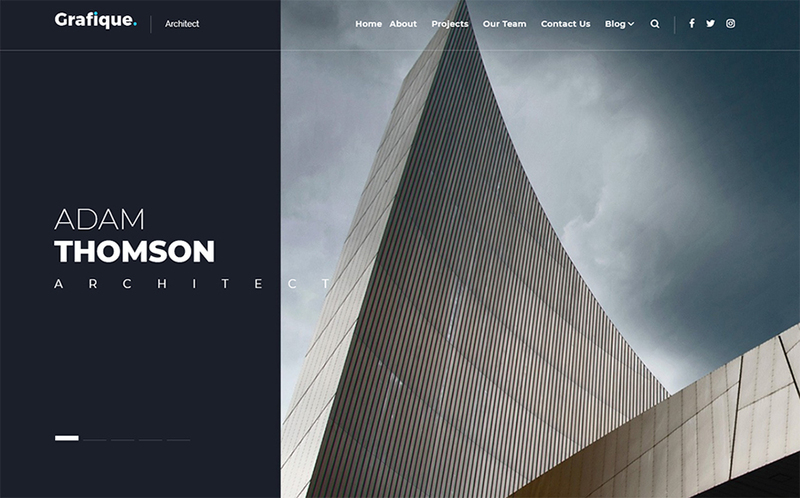 Its lovely gallery will give a fresh coat of paint to your portfolio website. 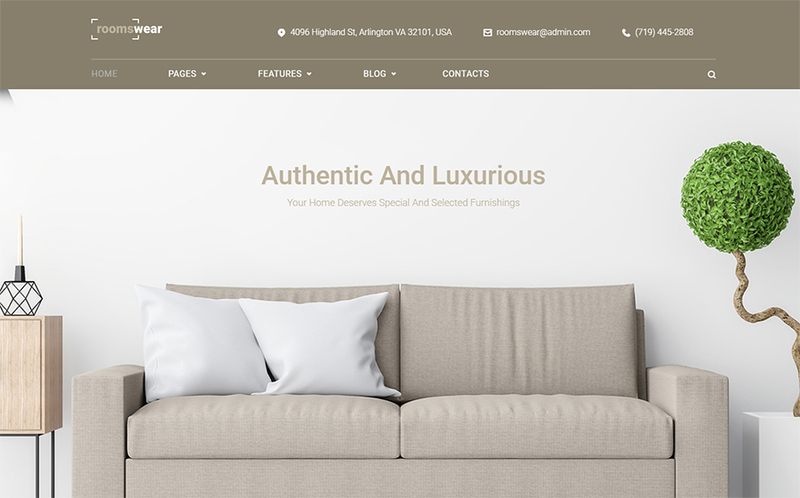 The theme is responsive, so you can use it on a tablet, desktop, mobile, or other devices. 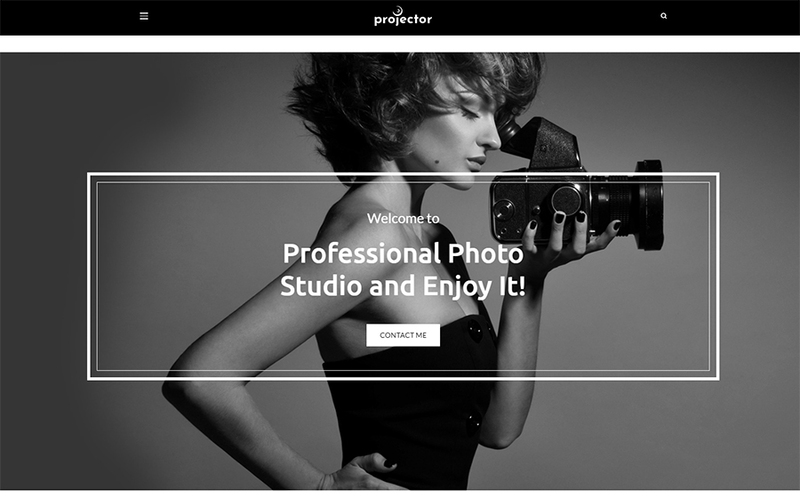 Your photographer’s project needs a Projector – a dazzling WordPress theme for artistic activities. Don’t want to stuck designing pages for your website? 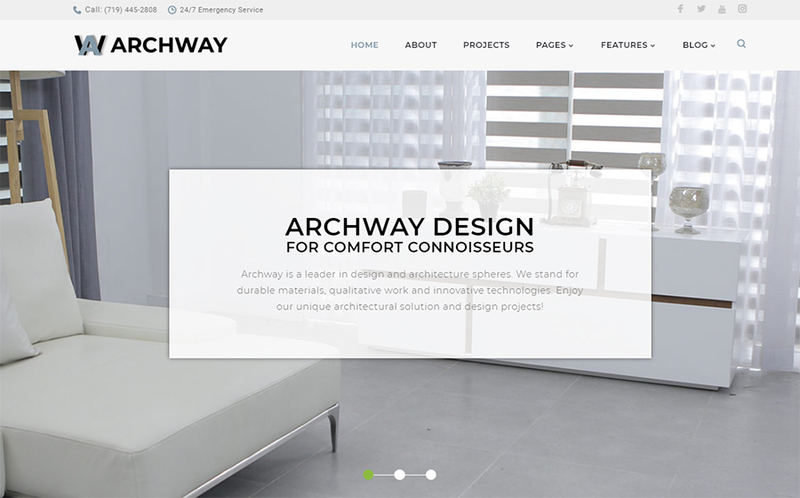 Use pre-made layouts for Home, Portfolio, About, and other pages. Add modifications through WordPress Live Customizer, which allows proceeding with this process in a live mode. Don’t forget to use contact and registration forms to make your clients involved. Do you want to create a heavenly beautiful portfolio? The simple design of Skyflypro theme will become the most beneficial background for your photos. The fully-customizable layout and compatibility with Mega Menu, Contact Form 7, and other plugins will help you to build a highly-effective online presence. Thanks to the Social Media integration, you can attract more visitors and boost the organic website traffic. Sometimes, our lives lack color. With Dezingo theme you can make your business life more vivid and fascinating. Use a variety of astonishing pages to simplify the process of theme customization. Moreover, there are Jet Elements plugins and the actual Elementor Page Builder, which are ready for use and quite helpful for those, who have no experience in coding. Summing everything up, you can see the items it today’s lists meets the requirements of 3 essential steps to make an efficient online portfolio. You can use it without any adjustment at all, or enhance its functionality with premium WordPress plugins. It is up to your time and budget. 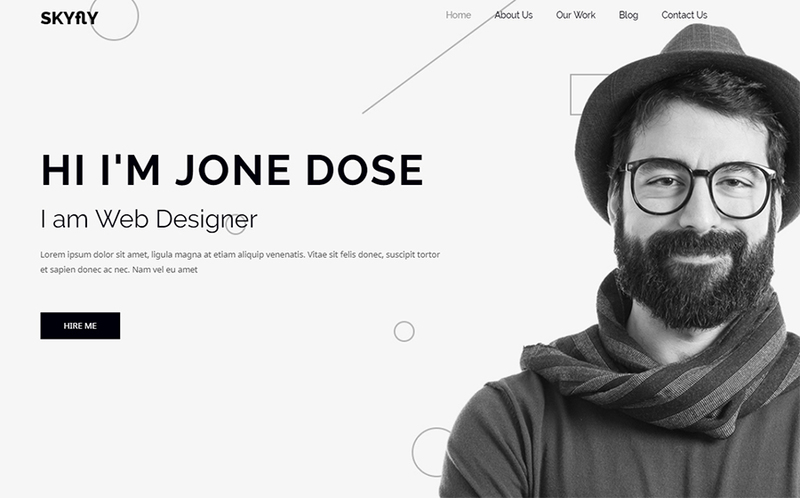 Let us know in the comment section below if you believe it is possible to create a unique portfolio using a ready-made theme as a base for the website design.